Many years ago. Believe me it was hard not to write, "Long, Long ago in a country far, far away." See I couldn't help myself. Well I once tried fencing. No, I did not build fences in yards and gardens, this fencing is an Olympic sport and has some history in the art of single combat and duelling. It is the European styles of sword fighting raised to a sport. In the early 1990's I used to visit a club about 20 miles from my home in Cheshire, England. It was fun and I got to keep pretty fit and had fun, but work and life made it difficult to keep up the sport. 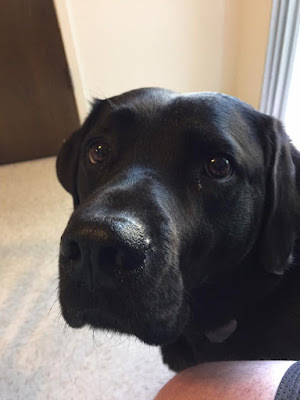 In January 2015, I was returning home from my local California Council of the Blind meeting, with my wife. She decided to stop for ice-cream at Baskin Robbins. Next door happened to be a fencing school. Inspired by my youthful experience I took a chance, went in, was welcomed and after talking about my needs for lessons and possible accommodations. I had a lesson booked and was on my way. My main weapon is the Foil, a light and flexible sword used by beginners. Then after time a novice might move on to a Epee, a heavier sword similar to the foil but with different target areas or maybe the Sabre (Saber) a heavy slashing sword based on the old cavalry weapon. The three swords are represented in Olympic competition. My personal aim, is merely to improve my balance, keep fit and have fun. 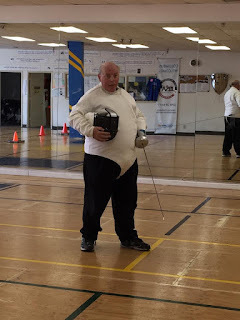 Fencing can be enjoyed at all ages, even I at 54 years have lots of fun. 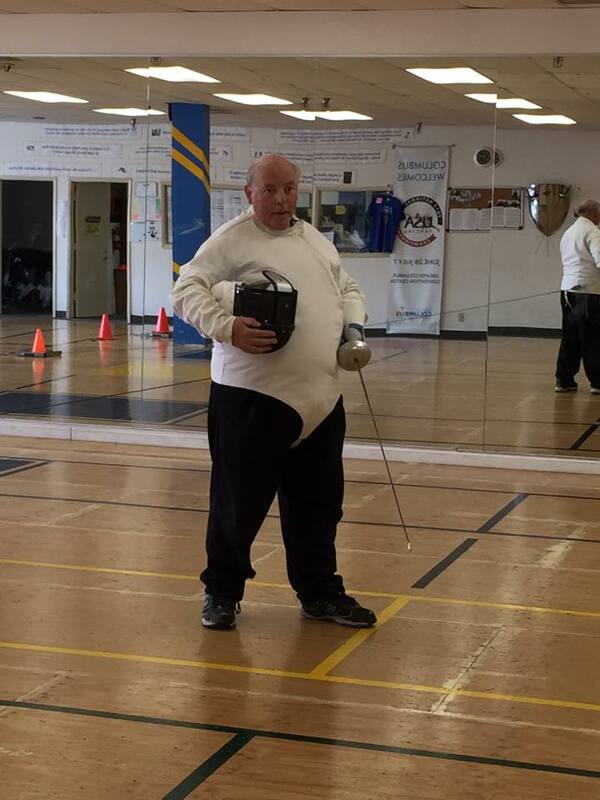 In September my coach, Vladimir, at the Fresno Fencing Academy offered me the chance to try a real opponent. The video below is part of the bout we fought. We are competing with competition Epee, competitors score one point for a touch on the upper body , not the face mask or legs. First competitor to five points wins. I am fighting from left to right. We join the bout at the end of the first touch. I lead by 1 point to zero. To make things a little more even. We are blindfolded too.